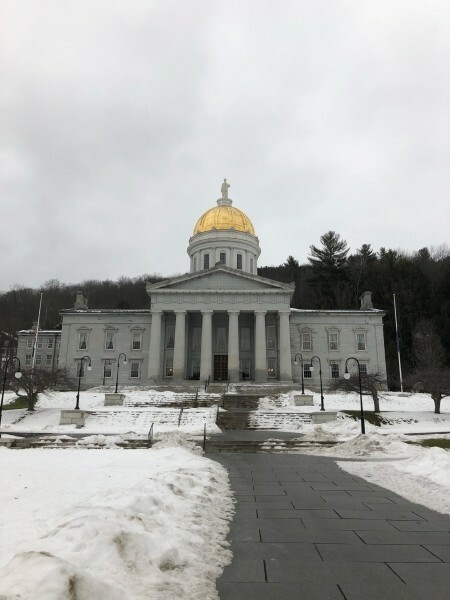 Montpelier, Vermont is one of the lowest populated state capitals in the country, but that doesn't take away from how exciting it is to explore the enchanting city. Montpelier is a city like no other and offers great surprises around every corner. Montpelier, Vermont is an absolutely beautiful city. Vermont’s capital gives off a laid back, small town feel, that makes Montpelier the charming city that it is. Montpelier is the perfect place to try exciting outdoor winter activities such as snowshoeing, snowmobiling, skiing, sledding, hiking, ice fishing and ice climbing. Fun activities to take part in during summertime in Montpelier include swimming, kayaking, paddleboarding, boating, horseback riding and hot air ballooning. Even after a long day of outdoor activities, Montpelier offers a wide variety of exquisite restaurants and fun, quirky attractions and tours, that really do add to Montpelier’s charm. Montpelier’s first permanent settlers, Colonel Jacob Davis and General Parley Davis, arrived in May 1787, after previously living in Charlton, Massachusetts. 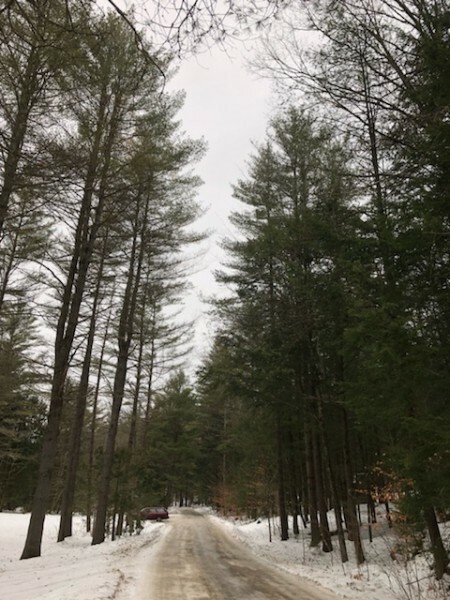 Colonel Davis cleared away some of the forest and built a large log house on the west side of the Winooski River for him and his family to live in. Colonel Davis decided to name Montpelier after the French city, Montpellier, to showcase America’s gratitude after France helped out the American Colonies during the American Revolutionary War. Eventually, more settlers found their way to Montpelier and by 1791, the population had grown to 117. Due to the Central Vermont Railway opening in Montpelier on June 20, 1849, Vermont’s state capital started to revolve around manufacturing. That same year, East Montpelier became a separate town. Montpelier, Vermont is a great place to put on your travel bucket list and is a fun city to explore with friends and family. J Morgan’s Steakhouse in Montpelier offers an extensive menu of tasty selections and is just one of the many high quality restaurants in the Montpelier area. J Morgan’s Steakhouse is a great restaurant to visit and is conveniently located in downtown Montpelier. 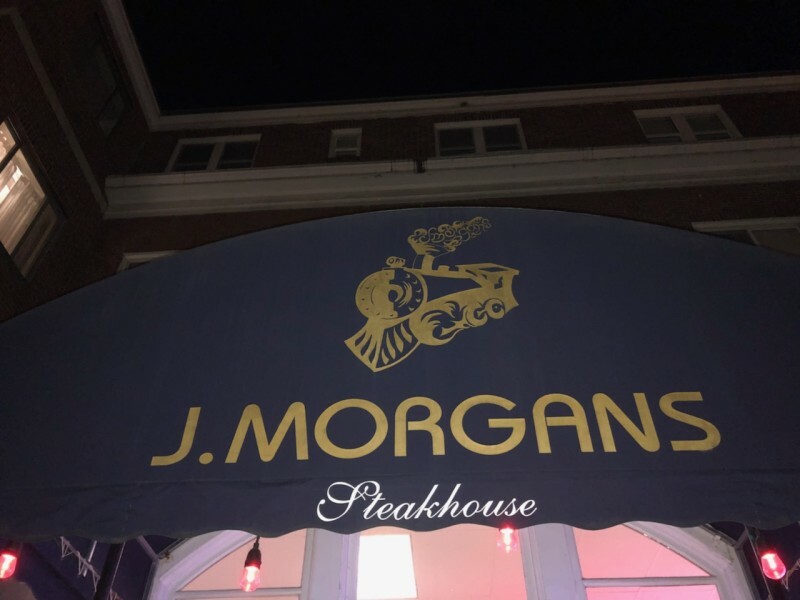 J Morgan’s Steakhouse offers a variety of interesting dishes such as Smoked Salmon Alfredo, Lobster Mac & Cheese, Vermont Maple Ginger Salmon, Steamed Maine Lobster, Alaskan King Crab Legs, Bacon Wrapped Pork Filets, and an impressive list of different steaks, all moderately priced. J Morgan’s also serves a basket of bread to enjoy before your meal arrives. This bread is soaked in butter and topped generously with parmesan and garlic. It’s to die for. I’ve never eaten at a restaurant and been so in love and obsessed with a complimentary basket of bread. Yes, it’s that good. It was difficult to choose just one dish off of the J Morgan’s menu, but I decided to with the Lobster Mac & Cheese. In the past, I have spoken highly of different restaurants in New England that serve Lobster Mac & Cheese. This is because restaurants in New England know what they are doing when it comes to Lobster Mac & Cheese and can supply high quality and fresh lobster. J Morgan’s is no exception. 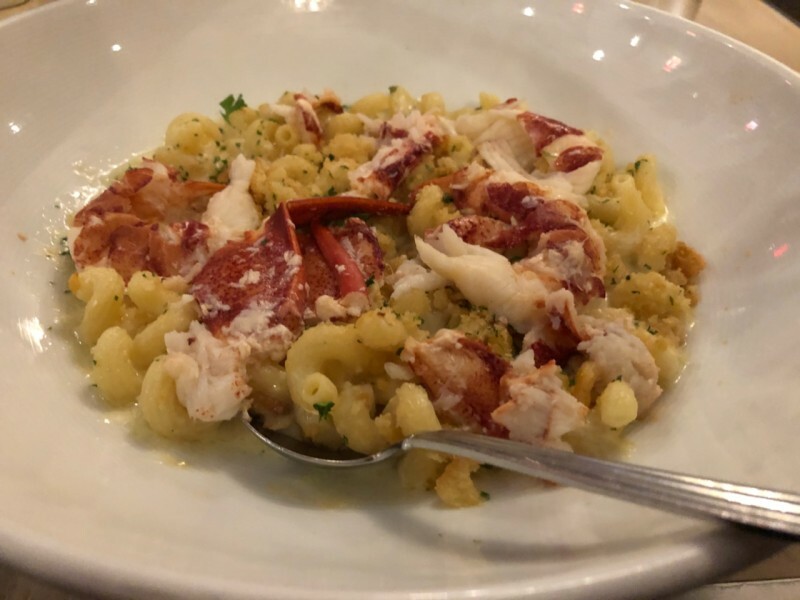 The Lobster Mac & Cheese at J Morgan’s is a cheesy, buttery delight that is topped with breadcrumbs and chunks of lobster over cavatappi pasta. It’s a dish I would highly recommend trying if you ever have a chance to stop by J Morgan’s Steakhouse. J Morgan’s Steakhouse has also become well-known for their “Fresh Baked Legendary Cakes,” including Devil’s Food Cheesecake, described as “rich layers of chocolate cake and vanilla cheesecake finished with ganache and fresh whipped cream”, Old Fashioned Chocolate Cake, described as “four layers of moist chocolate cake baked with dark chocolate chips and frosted with a rich chocolate frosting. Served with whipped cream” or their Fresh Baked Strawberry Cake (featured in Bon Appetit Magazine), described as “four layers of French vanilla cake layered with fresh strawberries and sweet cream frosting.” Even after their extensive dessert menu of gourmet cakes, J Morgan’s Steakhouse also offers a selection of after dinner coffee and coffee liqueur drinks. 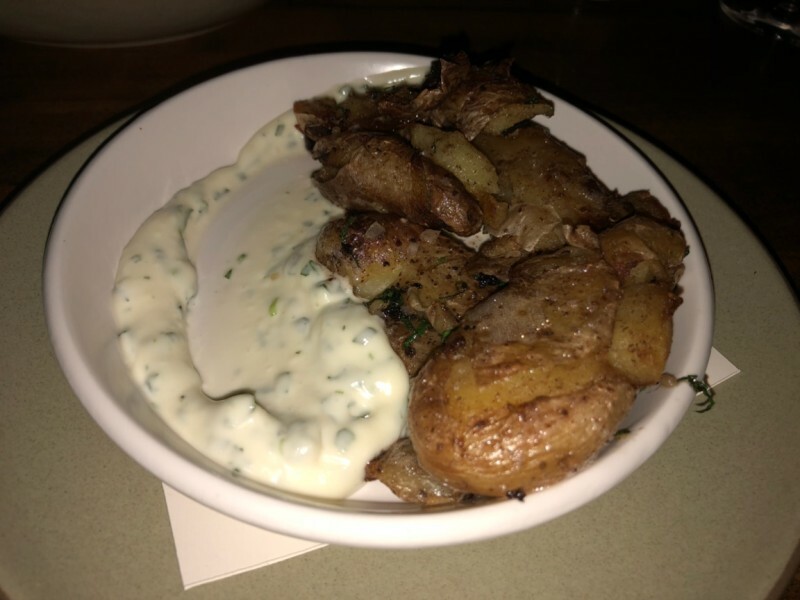 I had the pleasure of going to my first “small plates” restaurant when I visited Central Provisions in Portland, ME in the spring of 2017 (which you can read about here). After the excellent meal I had at Central Provisions, I couldn’t wait to try Hen of the Wood, another small plates restaurant, located in Waterbury, VT. Hen of the Wood is a very convenient place to grab dinner after a couple hours spent at the Ben and Jerry’s Factory, which is only a mile away. 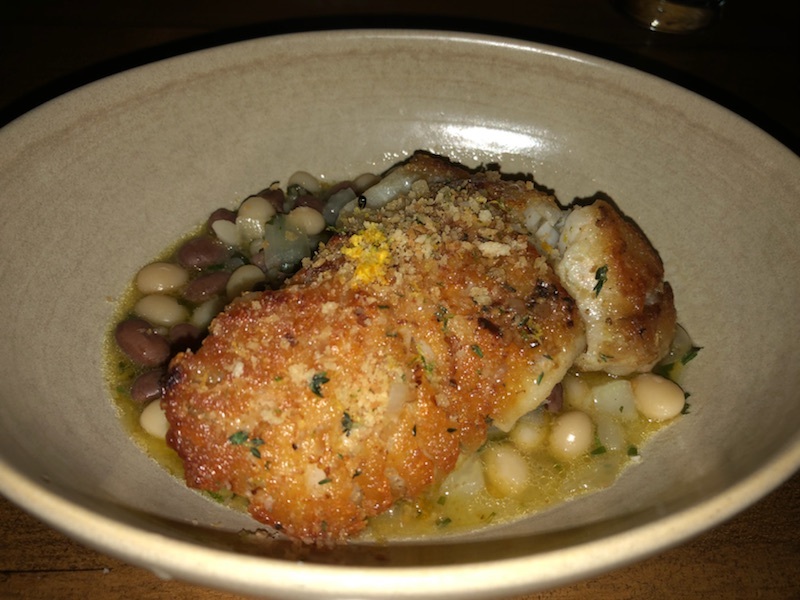 I also want to add that Hen of the Wood is the perfect place to dine if you are traveling with a group of people, this way you can share some of the plates and experience more of a variety of the exquisite cuisine Hen of the Wood has to offer. Hen of the Wood in Waterbury opened in October 2005. The owners, Eric Warnstedt and William McNeil, created the establishment with the intention to carry out their dream restaurant that offered “a warm inviting atmosphere, a historic and visually appealing setting, seamless service and most importantly outstanding wine and beautiful food.” Warnsetedt and McNeil wanted to share special culinary dishes that were “cooked from as close to the source as possible.” Today, Hen of the Wood is proud to offer items purchased directly from farmers and cheese makers who are local to the area. My meal at Hen of the Wood was excellent. I wish I could have tried more of what was offered. For my first small plate, I went with the Wood Fired Bread with Radish Butter. The bread came directly from the oven to my table, as it was piping hot and tasted fresh. 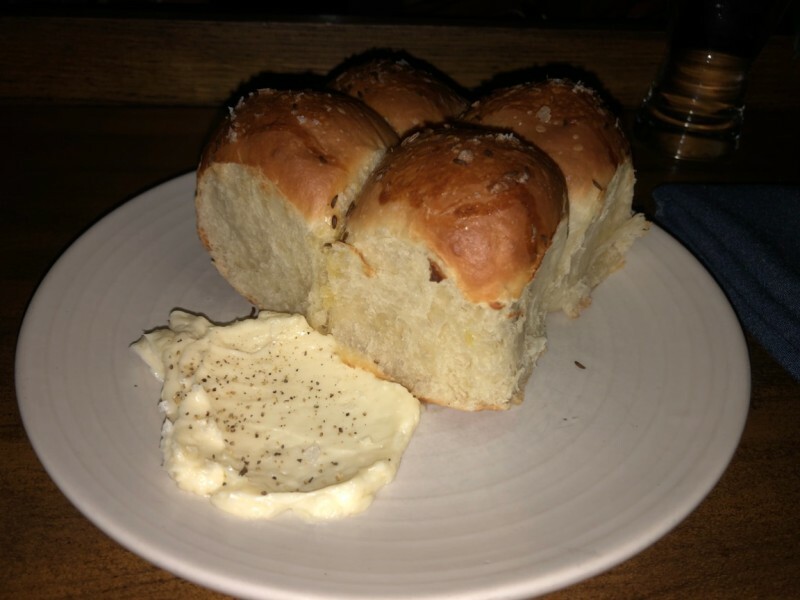 After getting some butter on one of the rolls, I can attest that the bread was heavenly. My decision for my entrée was a bit challenging. I couldn’t decide whether or not to get a few small plate items. I could have easily ordered the Grilled Octopus, Beef Tartare and Maine Lobster and called it a night, (alright, even I’ll admit that would have been a lot of food.) Instead, I decided to go with a dish I have never had the opportunity to try, Gulf of Maine Hake, with cippolini onions, potato and pine nuts, with a side of crushed potatoes with tarragon. Hake is a type of fish that can be found in both the Atlantic and Pacific Ocean. Hake makes for a tasty entrée, especially when paired with crushed potatoes. 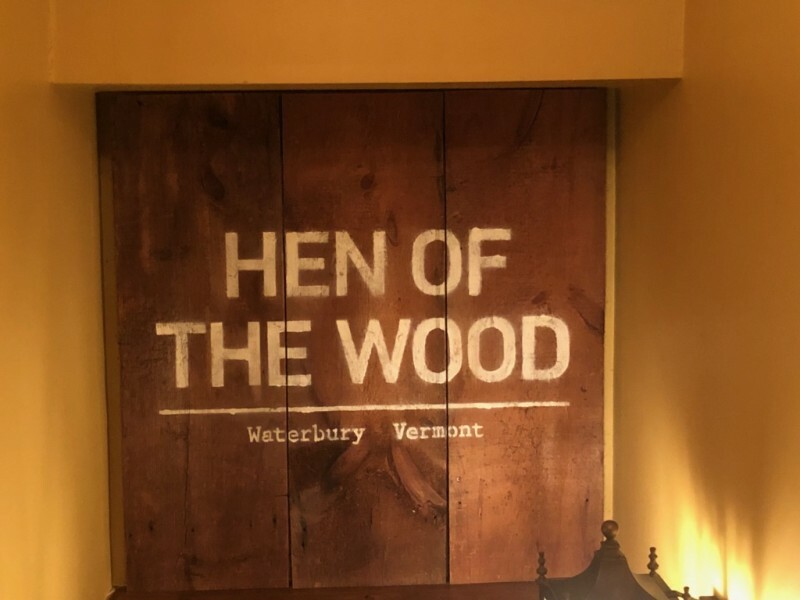 Hen of the Wood also offers Oysters, Ham-Wrapped Rabbit Loin, Hen of the Woods Mushroom Toast, Brown Butter Crepes, Hanger Steak and an extensive selection of local Vermont cheeses. Hen of the Wood is a great place to get a bite to eat, especially after a day of snowmobiling or other fun snow activities. Hen of the Wood in Waterbury, VT is open Tuesday-Saturday from 5p-9p. 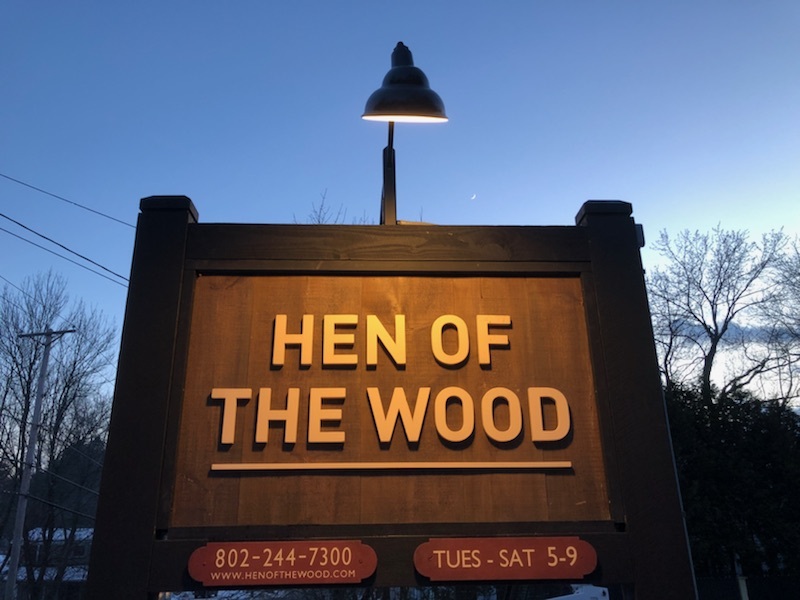 There is an additional Hen of the Wood located in Burlington, VT which is open 7 days a week from 5p-10p. Hen of the Wood suggests making reservations before your visit. Reservations can be booked up to 90 days in advance. The Ben and Jerry’s Factory tour in Waterbury was one of my favorite attractions while visiting Vermont. 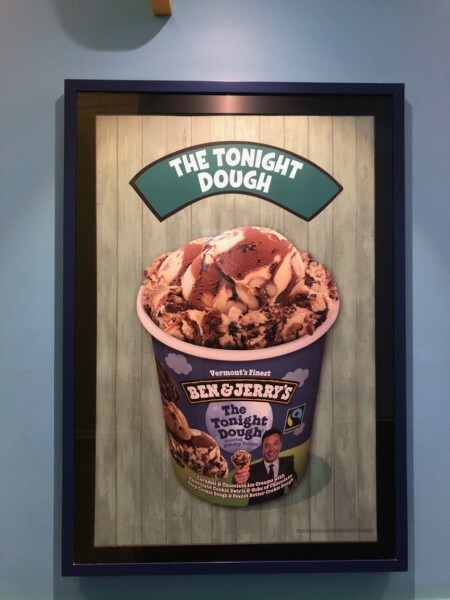 With the low prices offered ($4 for adults 13 – 59, $3 for seniors 60 and up and free for kids 12 and under,) you can’t go wrong with the 30-minute guided tour of how Ben and Jerry’s ice cream is manufactured daily. 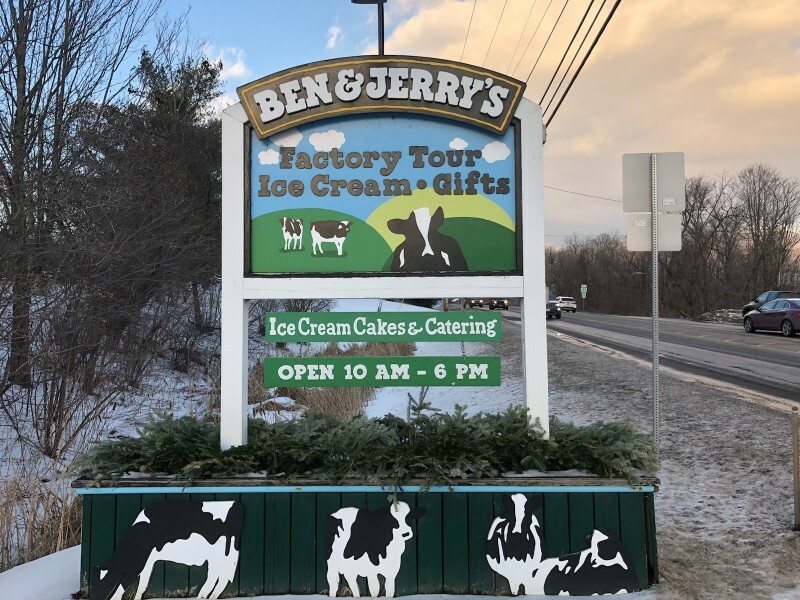 The Ben and Jerry’s Factory offers free samples of ice cream during the tour, has a gift shop filled with Ben and Jerry’s memorabilia and a full service ice cream bar at the end of the tour. You can even take a stroll through the Flavor Graveyard to visit the grave sites of Ben and Jerry’s flavors that have been discontinued over the years. Tours at the Ben and Jerry’s Factory in Waterbury run 7 days a week, 362 days a year. 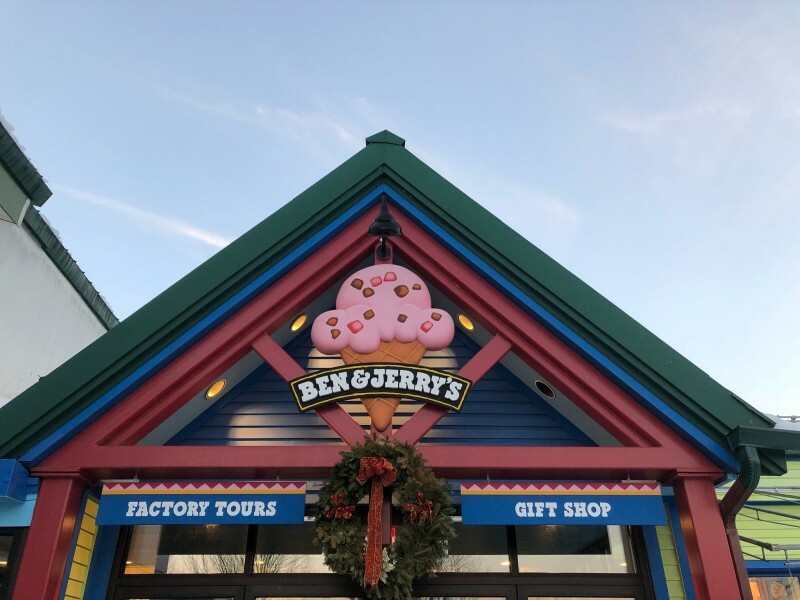 The Ben and Jerry’s Factory is also proud to offer a VIP experience where participants can create ice cream with a Ben and Jerry’s employee. The VIP experience is only offered Saturdays at 10:00 am or 1:00 pm, is by appointment only and is for groups of 2-3 people. The Ben and Jerry’s VIP Experience is a little pricier and costs $125 per participant. The VIP experience includes a regular factory tour ticket, one 30 minute session in the Flavor Lab where you may assist in making and tasting a bulk of ice cream, a flash drive that contains photos of your VIP visit, a T-shirt of your choice from the gift shop, an ice cream cone from the Waterbury Scoop Shop and a coupon for a free pint of Ben and Jerry’s ice cream. As I mentioned above, Vermont is a beautiful state that offers a variety of many outdoor activities. The main purpose of my visit to Vermont was so I could go snowmobiling for the first time. I really had no reason for choosing Vermont, other than the fact that I had never been there and it was far enough north where I figured it would be a great place to snowmobile. Not only was it a great location for a snowmobiling session, it was also an absolutely beautiful area to explore. Snowmobile Vermont offers guided snowmobile tours throughout the state of Vermont. Snowmobile Vermont is located in Killington, Okemo, Mount Snow and Stowe, Vermont. Stowe, Vermont is located 20 miles north of Montpelier. Snowmobile Vermont has been operating for over 26 years and is proud to be known as “one of New England’s oldest, largest and most experienced snowmobile tour operators.” Whether you’re a professional or have never been on a snowmobile in your life, Snowmobile Vermont is a fun activity for everyone. Snowmobile Vermont offers instruction on the basics of snowmobiling before you head out. Snowmobile Vermont offers a variety of “custom-guided snowmobile tours” all of which offer the thrill of a lifetime. All tours offer brand new, high tech snowmobiles. 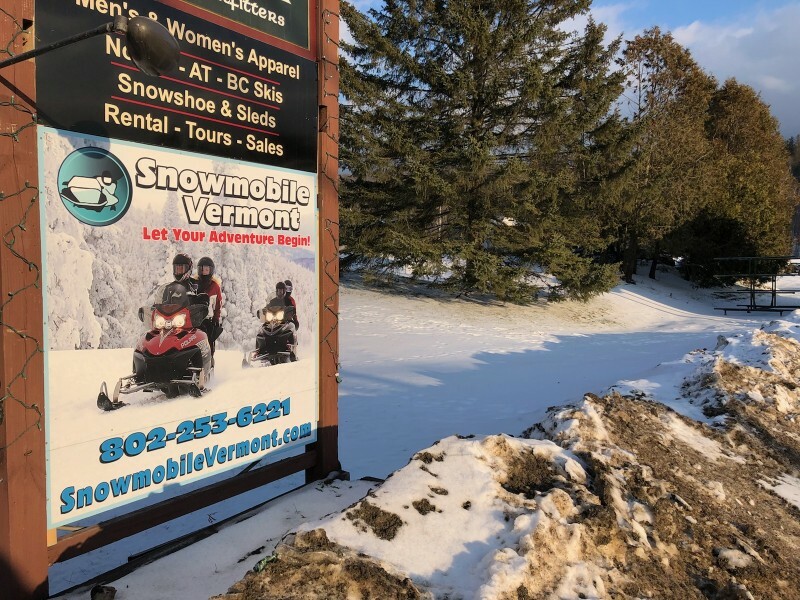 Snowmobile Vermont also provides all riders with a helmet and a pair of snow boots. If you do not own a set of ski clothes, you may rent just about everything you need at the snowmobile lodge for a small fee. Snowmobile Vermont in Stowe will take you on an adventure like no other. 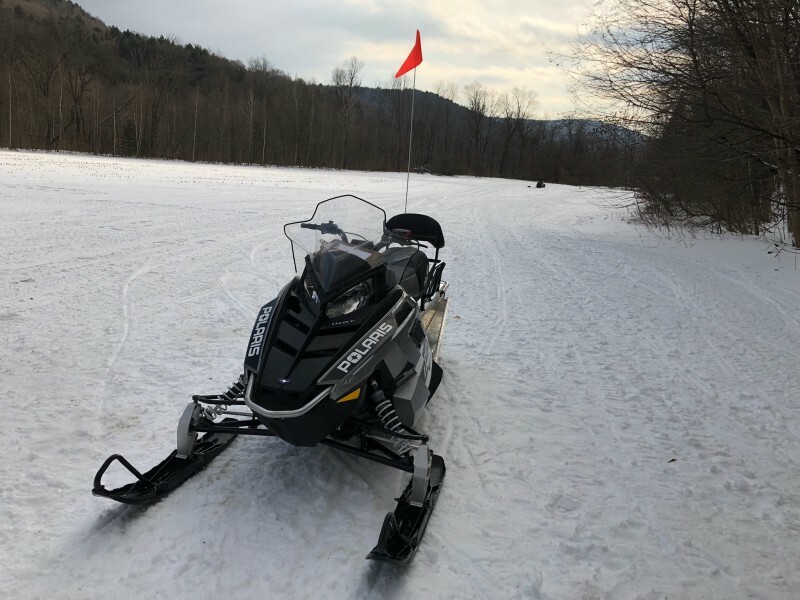 The guides at Snowmobile Vermont know how to show their guests a good time, giving them room to take it slow or go faster along the trails. At the end of the tour they even take you to an open field so you can make as many laps with your snowmobile as you’d like. 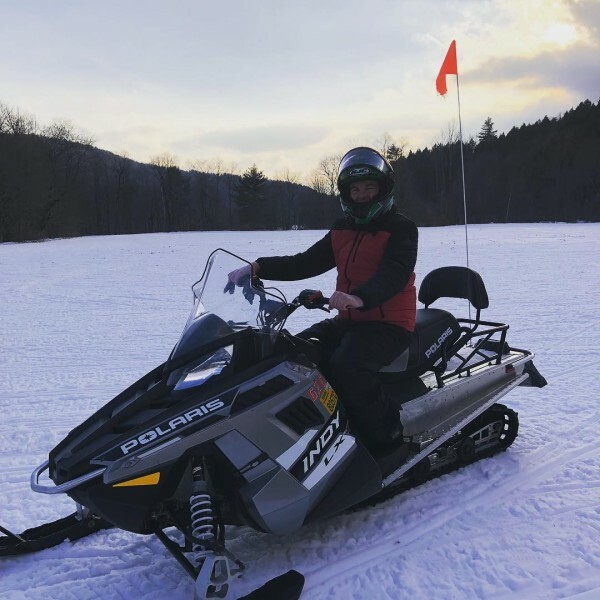 Snowmobile Vermont is a great place for an exciting winter activity and makes for something to look forward to, even though the weather may not seem so pleasant. Cold Hollow Cider Mill in Waterbury is the perfect place to go to pick up some fresh apple cider or a bottle of tasty, unprocessed maple syrup. Cold Hollow Cider Mill began in 1974 when Eric (“a descendant of Vermont’s first governor, Thomas Chittenden”) and his wife Francine, decided to begin a new lease on life as farmers “near the base of the Cold Hollow Mountains in rural northwest Vermont.” While living in northwest Vermont, Eric had found an apple press and the couple started to make their own apple cider for their friends. The cider that Eric and Francine were producing became very popular and eventually the couple saw great potential in starting a business to sell their homemade cider. Eric and Francine had a vision; to create an abundance of cider, sell that cider to supermarkets in Vermont and make their company a “real Vermont tourist attraction.” Eric and Francine found the perfect location for their business, which was off Route 100 in central Vermont, between Waterbury and Stowe, an area that they believed would bring lots of skiers and visitors. Eventually, Eric and Francine ended up buying the old Gibbs farm in Waterbury Center in 1976. The Gibbs Farm in Waterbury is best described as “a classic Vermont dairy farm” that had been around since the 1800s. Attached the the dairy farm barn was a house. The Chittenden family resided in that house and raised three kids on that land, until they sold the business in 2000. Today, they still live near The Gibbs Farm, near the Waterbury Reservoir. Since Cold Hollow Cider Mill opened, it has undergone a lot of different renovations and additions that include, “A Jelly Room, large production facility, two cold-storage rooms (one of which is used for apples and the other for the finished cider product) and a large bottling facility.” Cold Hollow Cider Mill is proud to showcase the cider press and store, which is inside the original Gibbs Farm. Today, cider donuts, specialty foods, baked goods, cheese, honey, maple syrup, hot beverages and more are made inside the barn. Cold Hollow Cider Mill is still one of New England’s top makers of fresh apple cider and is “one of Vermont’s most popular tourist attractions.” Cold Hollow Cider Mill is proud to make pure apple cider the old-fashioned way, “with a traditional rack and cloth press” that was built in the 1920s. 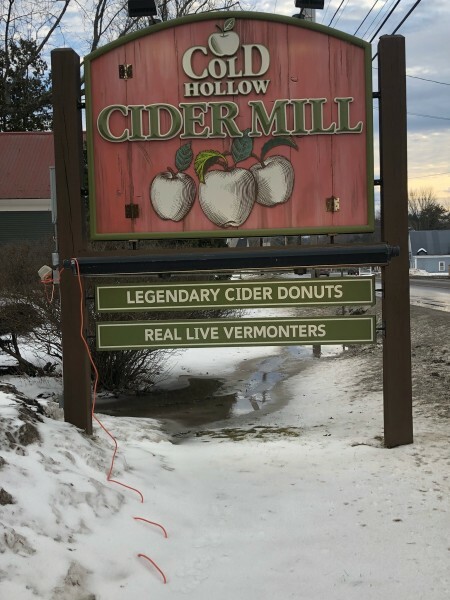 Cold Hollow Cider Mill is a great place to visit with the family and is a very fun, interesting and informative attraction that gives visitors the knowledge of how cider is produced in Vermont. 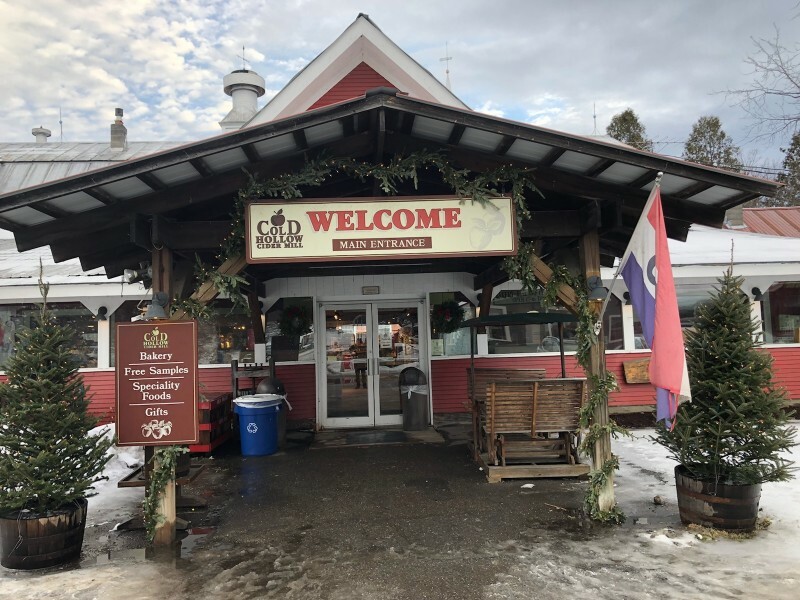 You can also explore the vintage mill of Cold Hollow Cider Mill that is stocked with “fine Vermont specialty foods and products” and some free samples of the different mustards and jellies that are sold at the Mill. Don’t forget to try one the Cold Hollow Cider Mill’s “legendary Cider Donuts,” which have been called “One of the country’s top four donuts.” The Cold Hollow Cider Mill offers a bakery section with fresh Vermont coffee, hot cider and an array of fresh baked goods like “apple pies, pumpkin rolls, cookies, homemade fudge and much more.” Before you leave, don’t forget to check out the Apple Core Luncheonette and Beer Store (which offers Hard Cider), located directly across the driveway. Morse Farm Maple Sugarworks is a store similar to the Cold Hollow Cider Mill, but has more of a focus on anything and everything maple. The Morse ancestors, who were a big help in the colonization of Central Vermont, were taught an important lesson by Native Americans; how to tap maple trees. The process involved using hot rocks to remove the saccharine sap, until all that was left was sugar or “sinzibukwud.” Americans soon became self-sufficient in sugar production, after pioneers discovered they could “boil a year’s supply of sugar.” Ben Franklin made it a point to “promote massive sugar production in the Northeast.” This made America “less dependent on ‘foreign sugar.’” Once America achieved independence as a nation and made improvements on how to transport sugar from the south at a low cost, sugar makers stopped boiling their sugar, which kept the tree sap in the syrup state. Morse Farm Maple Sugarworks is a great place to take a load off and try the different flavored coffees and hot chocolates that are offered. 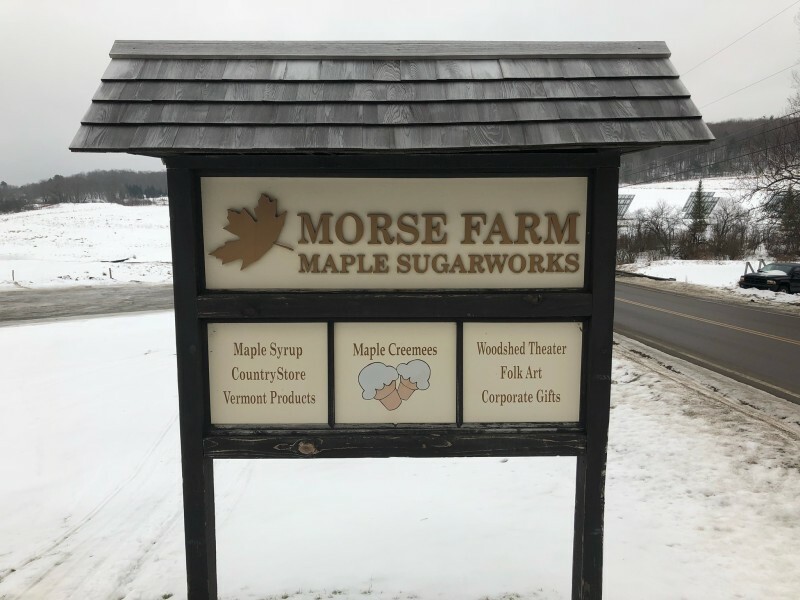 Since sugarin’ time is during the spring, Morse Farm Maple Sugarworks offers “sugar on snow,” which is hot maple syrup drizzled over shaved ice, which turns it into a taffy treat. “Sugar on snow” is also served with a fresh donut. 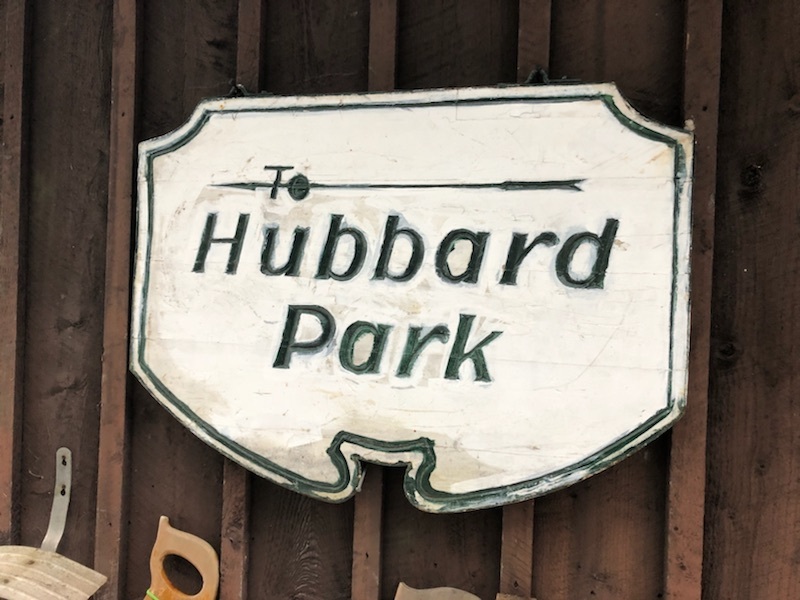 At the same time, the roads inside Hubbard Park were “regraded, widened, drained and graveled.” Hubbard Park Drive was also upgraded so the park could be easier to access from either the east or west side of Montpelier. A bridle trail was even inserted to make it easier for visitors to hike throughout the park. 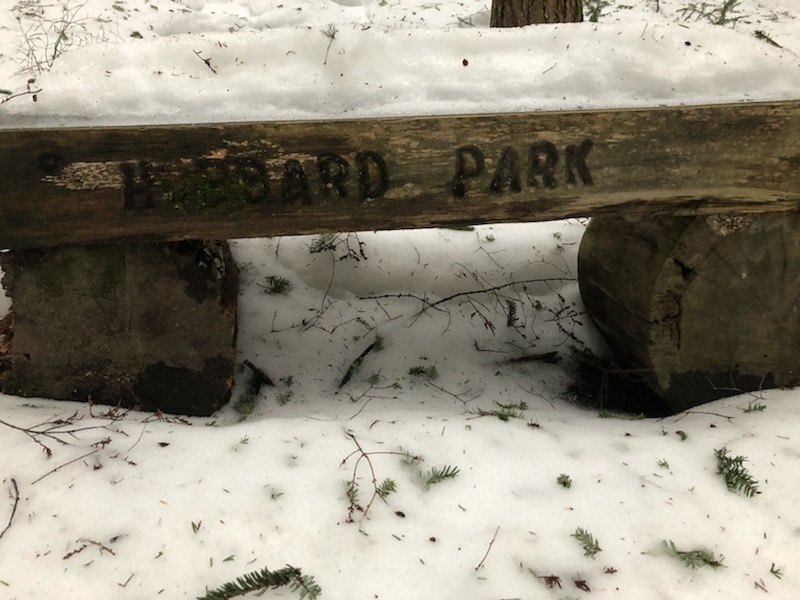 Throughout the years different groups have bettered Hubbard Park in their own way, including the addition of a nature trail, shelter, barbecue grills, picnic and parking areas, a recreation field and a fitness trail. 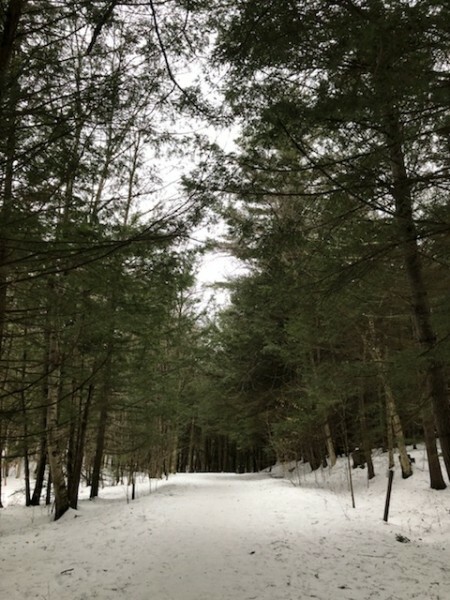 Hubbard Park is an area that really shows off a lot of Vermont’s beauty, whether it’s winter, spring or fall. The Vermont State House in Downtown Vermont has been nicknamed “the People’s House.” Vermont State House is used for the legislative branch of Vermont’s government, but is also a living museum and state cultural provision. The Vermont State House is opened to visitors and gives everyone the opportunity to roam within the halls of the historic building. The Representatives Hall has been used for evening concerts and the public lawn on the south side of the building is where the Vermont Symphony Orchestra performs shows. The Vermont State House offers self-guided tours within the building that can last several hours, for those that wish to learn more about the history of Vermont’s Government. Montpelier, Vermont is a place of pure beauty. Whether you wish to enjoy Montpelier during the winter months, so you can see the city dusted with snow, or during the summer months, so you can enjoy a summer hike through Montpelier’s lush forests, Vermont’s small and homey state capital is the perfect place to get away, whatever time of year it may be. For more information on Montpelier, Vermont, check out the official tourism board website.